Community Gift Exchange | Vote ‘Prestwick Beach Wheels’ in the AVIVA Communities Fund Competition! 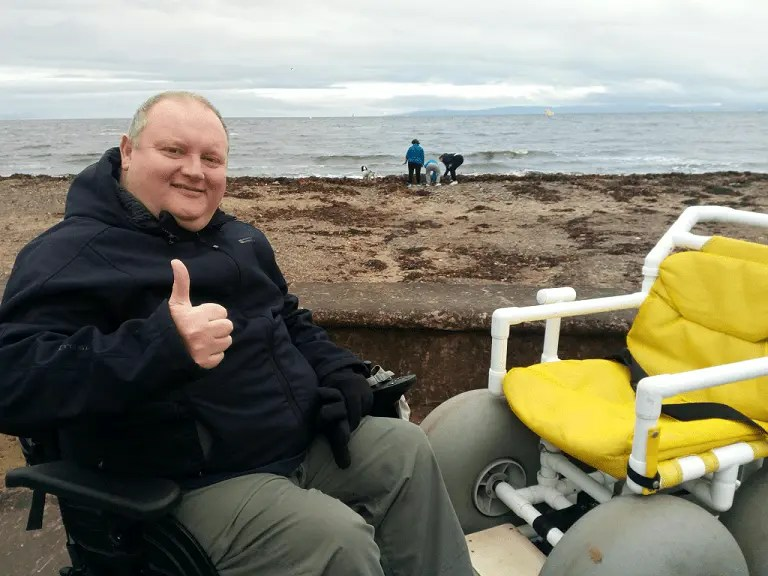 Prestwick Beach Wheels is a collaborative project coordinated by CGX and local volunteers to provide an adult and a child sized Beach Wheel-Chair to enable people with limited mobility to enjoy a ride on the sand or a round on the putting green at Prestwick Shore. Please gift us ten minutes of your time to visit the AVIVA Community Fund website, watch our Prestwick Beach-Wheels promotional video, register and vote! With enough votes we get into the finals and could be awarded £10,000 to make this great idea a reality for people with disabilities visiting Prestwick! The voting window is Tuesday 24th Oct to Tuesday 21st November – Please vote today and spread the word among your family, friends and colleagues! Posted in Prestwick North Beach and tagged AVIVA, Beach, Community Fund, Disabilities, Disabled Access, Inclusion, Prestwick, Putting Green, Shore, Wheel-Chairs.